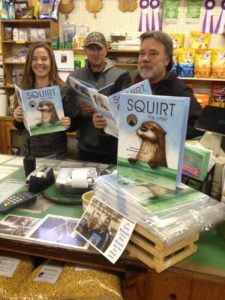 About Mcgough's in Traverse City, MI About Us – McGough's Inc.
A Traverse City Centennial Store. Since its establishment around 1890, McGough’s has undergone many changes, evolving to meet the needs of the ever-changing face of our region. While we still proudly serve Northern Michigan’s agricultural and farm community, we also offer a variety of products and services for the homeowner: pet and wild bird supplies, customized fertilization programs for lawns, and products to establish and maintain natural areas, to name just a few. In 1895, Joseph H. McGough bought out his partners in the hay, grain and feed business, placing his name on a business which has been a Traverse City fixture for generations. 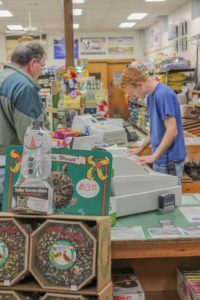 Over the years, the business changed ownership several times; the current owner and operator of McGough’s started working here in the 1970s and has overseen its daily running for nearly forty years. Two of his children have followed him into a business which has become a family tradition. Staff members have been familiar faces to customers for years, and in some cases, decades. At McGough’s, we pride ourselves on delivering informative, friendly assistance. We understand our customers are seeking knowledge and personalized advice, not just products. While we no longer receive coal deliveries from the Pere Marquette trains that used to stop behind our store, one thing that hasn’t changed is our dedication to century-old, hometown service.